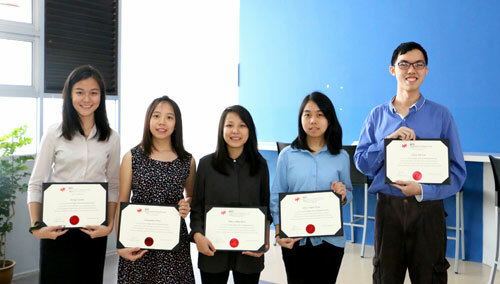 Students from INTI’s Australian pre-university programmes recently achieved outstanding awards with four students from the SACE International (SACEI) programme named among the Top 5% in the world, while five students from the New South Wales High School Certificate (NSW HSC) ranked among the top 10% respectively. Top students from INTI International College Penang’s NSW HSC programme. INTI is one of a handful of institutions of higher learning in Malaysia to offer both the SACEI and NSW HSC, established Australian Pre-U programmes that prepare students to advance into degree programmes. With more than a 30 years track record, INTI has also been recognised as an international examination center by the international SACE Board, and students graduating from INTI have been accepted by universities in Australia, New Zealand, the UK, USA, Canada, and India as well as many Malaysian private universities. Among the recent universities where students have transferred to are the University of Melbourne, Australia; and the Royal College of Surgeons in Ireland. Over the years, INTI’s Australian Pre-U programmes have opened up education and career pathways into fields such as commerce, medicine, pharmacy, engineering, law and more – enabling students to gain a solid foundation into subjects such as Physics, Biology, Chemistry and Mathematics. 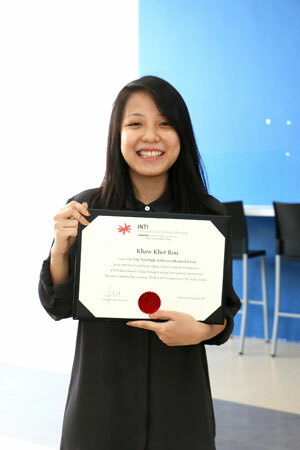 Khaw Kher Rou from INTI Penang achieved ranked among the top 10% in the world with an ATAR 96.75. Led by a team of subject matter experts at both INTI International College Penang and INTI College Nilai where the courses are offered, SACEI students have received the International Subject Achiever Award and Merit Certificates, while NSW HSC students registered a 20 years track record of scoring Australian Tertiary Admission Rank of 90.00 and above. Fellow NSW HSC top scorer Chan Yii Yat (ATAR 96.00), 18, a former student of SM(J)K Chung Ling, Butterworth explained, “The feedback I received from my lecturers not only helped me in my studies but in developing my character both personally and professionally. Although I underwent some severe difficulties in my final year in juggling all of my subjects, the sincerity and support I received from the college and my friends helped me to pull through.